Each shake is hand-spun the old-fashioned way with delicious Chick-fil-A Icedream, peppermint and chocolate chips, and then it’s topped with whipped cream. It’s a sign of the season for many, and a delicious reward to regain your sanity after fighting traffic around the mall. This holiday classic is also the main ingredient in one of the greatest Chick-fil-A at-home recipes to help you entertain this holiday. 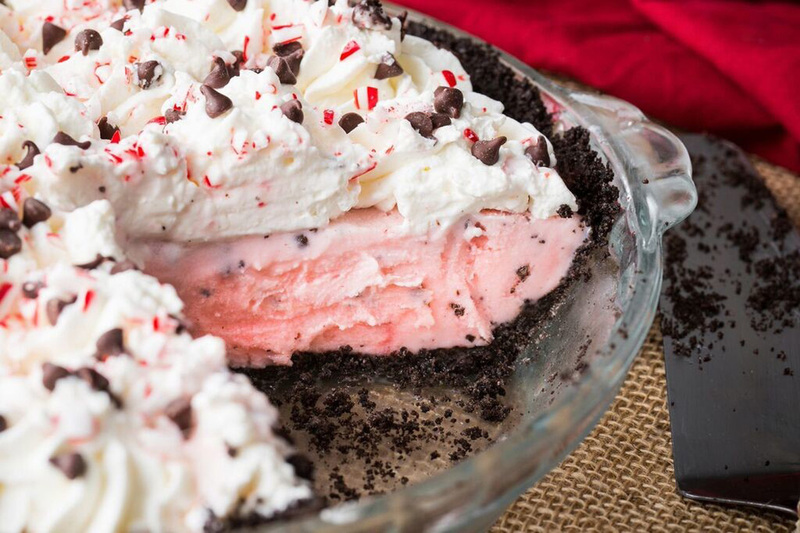 Have you ever made Peppermint Milkshake Pie? It’s easy to make at home and a guaranteed in-law pleaser! The Peppermint Chocolate Chip Milkshake is always a hit in Chick-fil-A restaurants, but can you guess which cities enjoy the most Chick-fil-A milkshakes all year long? Check out our top 10 list – and remember, the Peppermint Chocolate Chip Milkshake will only be on the menu from Nov. 12 until Jan. 5, so grab one while you can. Is Chick-fil-A open on New Year’s? Good news! If you’re looking to end 2018 with a Nugget tray or ring in 2019 with Waffle Fries, Chick-fil-A will be open for both. On New Year’s Eve, most Chick-fil-A locations will be open from 6:30 a.m. to 6 p.m. On New Year’s Day, most restaurants will be open from 10:30 a.m. to 6 p.m.